Pre-order contents may change without notice. You’ll be charged and receive items from this pre-order as they become available. The original version of Smokey Robinson’s Quiet Storm launched an entire radio format. A new version of the song with John Legendpremieres at USA TODAY. The track will appear on Robinson’s new Smokey & Friendsalbum, due Aug. 19 on Verve Records. Quiet Storm initially was the title track of a 1975 album for Robinson, his third after leaving the Miracles, the Motown group with which he recorded The Tracks of My Tears, You Really Got a Hold of Me, Ooh Baby Baby, Tears of a Clown and more than 20 other top-40 pop hits. The track gave name to a popular ’70s late-night format that favored R&B slow jams, especially those that had some jazz in them. Smokey & Friends features Robinson’s best-known songs performed as duets with the likes of James Taylor, Sir Elton John, Aerosmith’s Steven Tyler, Sheryl Crow and Mary J. Blige. Together, they remake hits that Robinson recorded with the Miracles and as a solo act, as well as tunes he penned for Marvin Gaye (Ain’t That Peculiar, sung with Taylor) and the Temptations (My Girl, cut with Miguel, Aloe Blacc and JC Chasez). 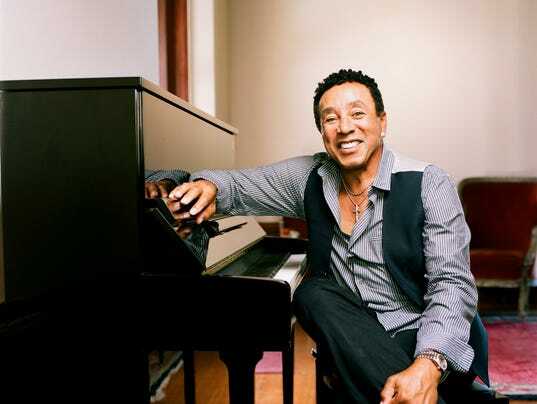 LOS ANGELES, July 8, 2014 - The release date for “Smokey & Friends,” the new duets album from legendary Motown icon and Grammy® award-winning singer-songwriter, Smokey Robinson has been moved up to August 19 on Verve Records. The album will be made available at all physical and digital retail outlets nationwide. To pre-order “Smokey & Friends” on Amazon.com click HERE. International release dates will soon be announced. The track listing for “Smokey & Friends” features Robinson alongside a celebrated roster of contemporary and classic artists who revisit the best loved songs from Robinson’s unmatched catalog of hits including those he has written for his solo career, his Rock and Roll Hall of Fame group, The Miracles, as well as hits he wrote for others, including Marvin Gaye and The Temptations. On the Randy Jackson-produced set, Robinson is joined by old friends like James Taylor, Sir Elton John, Aerosmith’s Steven Tyler, Sheryl Crow, and Mary J. Blige, as well as with some of today’s hottest new artists including John Legend, John Mayer, Miguel, Aloe Blacc, JC Chasez, CeeLo, Ledisi and Jessie J.
Robinson and his guests pay homage to the timeless originals, while creating new versions that feel instantaneously contemporary and classic. Robinson and John turn “The Tracks of My Tears” into an organ-drenched call and response; while Legend’s graceful piano playing adds a new elegance to “Quiet Storm.” On “My Girl,” Miguel, Aloe Blacc, and ‘N Sync’s JC Chasez match The Temptation’s unforgettable harmonies, as John Mayer recreates the song’s instantly recognizable opening guitar riffs. The album’s 11 tracks will delight longtime Robinson fans, as well as introduce these ageless songs to younger listeners not necessarily familiar with the enduring melodies and lyrics. Once pronounced by Bob Dylan as America’s “greatest living poet,” acclaimed singer-songwriter Smokey Robinson’s career spans over four decades of hits. He has received numerous awards including two Grammy’s, the Grammy Living Legend Award, NARAS Lifetime Achievement Award, Honorary Doctorate (Howard University), Kennedy Center Honors and the National Medal of Arts Award from the President of the United States. He has also been inducted into the Rock ‘n’ Roll Hall of Fame and the Songwriters’ Hall of Fame. Born and raised in Detroit, Michigan, Robinson founded The Miracles while still in high school. The group was Berry Gordy’s first vocal group. Their single of Robinson’s “Shop Around” became Motown’s first #1 hit on the R&B singles chart. The Miracles dominated the R&B scene throughout the 1960′s and early 70′s. In addition to writing hits for The Miracles, Robinson wrote and produced hits for other Motown.